Railpictures.ca - Michael Da Costa Photo: Yesterdays CP 254 rolls through the S curves into the City of Hamilton with a classic GMD/EMD lash up. | Railpictures.ca – Canadian Railway Photography – photographie ferroviaire Canadienne. 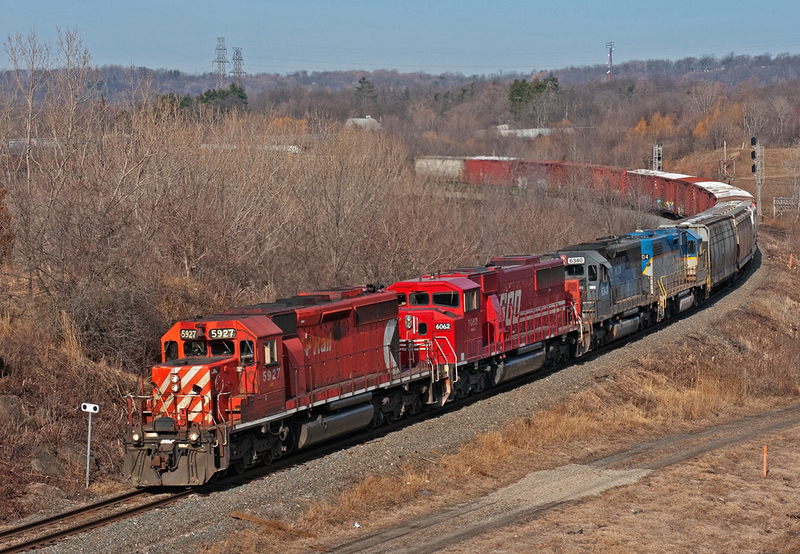 Caption: Yesterdays CP 254 rolls through the S curves into the City of Hamilton with a classic GMD/EMD lash up.